The undersigned non-governmental human rights organisations write this letter to you in your capacity as President of the Human Rights Council to appeal for your leadership in enabling the Council to fulfill its responsibilities towards ensuring accountability for the alleged violations of international humanitarian and human rights law committed by both sides during the final stages of the conflict in Sri Lanka. On 23 May 2009, the UN Secretary-General, Mr. Ban Ki-moon and President of Sri Lanka, H.E. Mahinda Rajapaksa issued a joint communiqué in which the Secretary-General “underlined the importance of an accountability process for addressing violations of international humanitarian and human rights law” and the government of Sri Lanka agreed to “take measures to address those grievances”. This joint communiqué and the understandings contained therein were endorsed by the Council on 27 May 2009 at its 11th Special Session (A/HRC/RES/S-11/1). Subsequently, the Secretary-General appointed a Panel of Experts on 22 June 2010 to advise him on the implementation of the joint communiqué. The report of the Panel was made public on 25 April 2011 which recommended, among others, the establishment of an independent international mechanism with concurrent functions to monitor the domestic accountability process, conduct independent investigations and collect and safeguard information provided to it. We are pleased to learn that the Secretary-General has transmitted the report of the Panel of Experts to you on 12 September 2011. We believe, however, that the Council must be formally informed of your receipt of the report, not only through the posting of the Secretary-General’s correspondence on the Council’s Extranet. Also, we welcome the decision by the Secretary-General, as stated in the correspondence, to act upon the recommendation by the Panel to review the actions of the UN system during the war in Sri Lanka and its aftermath regarding the implementation of the UN’s humanitarian and protection mandates. 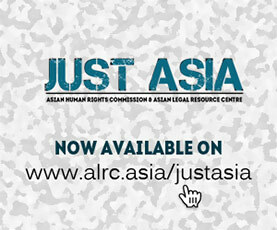 The government of Sri Lanka has, meanwhile, established a domestic mechanism, namely, the Lessons Learnt and Reconciliation Commission (LLRC) in May 2010 for “restorative justice” and “determining responsibility regarding past events in question related to the conflict”, as stated by the former Attorney-General Hon. Mohan Peiris during the 15th regular session of the Council. The Special Envoy on Human Rights of the government of Sri Lanka, Hon. Mahinda Samarasinghe, also indicated to the Council during the 17th regular session in June 2011 that the LLRC will finish its deliberations by the end of November 2011. 2. Invites both the government of Sri Lanka and the Secretary-General to present to the Council at its 19th regular session in March 2012 their undertaken activities with respect to the implementation of the joint communiqué, including the findings of the LLRC. We are of the view that this President’s Statement would facilitate the follow-up of the Council’s own outcome from the 11th Special Session while contributing to a full, balanced and robust discussion in the Council in a non-politicized manner that places respect for human rights as well as justice and redress for victims at the centre. We thank you for your kind attention to the above matter.